Fireworks Shows in Cabo San Lucas, San Jose del Cabo, and Todos Santos! 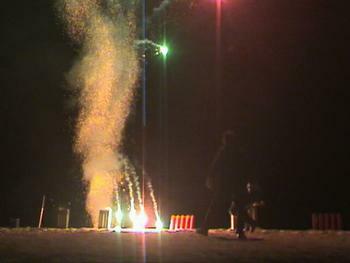 Larger fireworks shows and packages are available by request. We also manufacture wedding sparklers. Please call for wholesale bulk prices. Credit cards, PayPal, and cash accepted. Click here for more in on Fireworks Displays and Shows in Todos Santos, Cabo San Lucas, San Jose del Cabo, and the surrounding area. Available for beach parties, weddings, and special events! 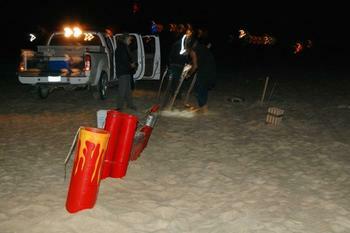 Here we are lining up the mortars for the night surfing shots. 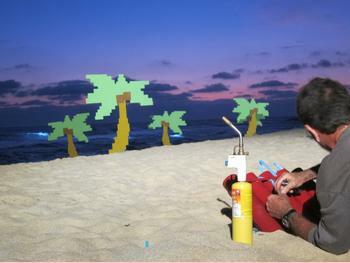 Getting prepared for another beach party! 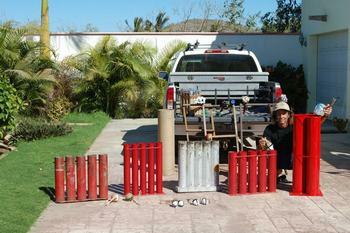 We manufacture our fireworks locally. 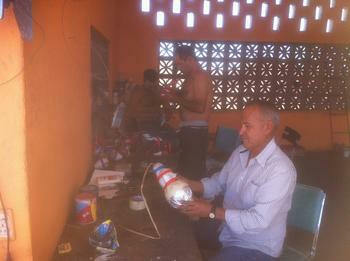 Here is Alberto finishing a beautiful "cacahuate" ,which is a triple exploding 3-color mortar, while the others weigh black powder and create more fireworks for a show. 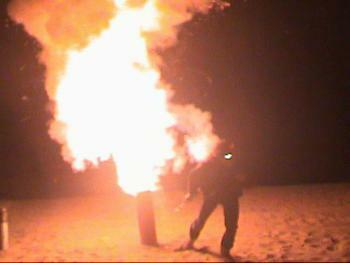 Big Bertha, an 8" cannon, lights the sky on fire and puts the finishing touch on any finale! 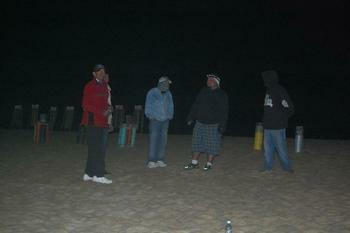 Here is Robert at Rancho Pescadero on New Years, 2011, with the final blast of the night. Reserve Your Show or order your package Today!